We hope you are okay and no one has been hurt or injured. If there has been an accident first please call emergency 911. We service you first. Your safety and well being is our number one concern when you need our towing services. Oahu Towing Company services accident removal towing jobs from complete wrecks, fender benders, to overturned vehicles, we are able to tow it. In an accident, towing your vehicle should be the least of your worries, that is our job to worry about. 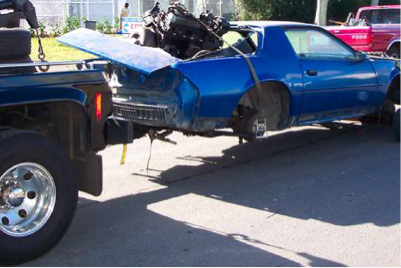 Call us at (808) 425-9295 for your accident removal towing service.